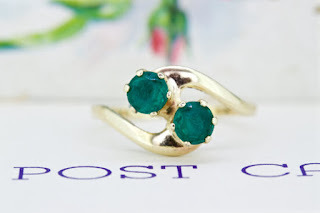 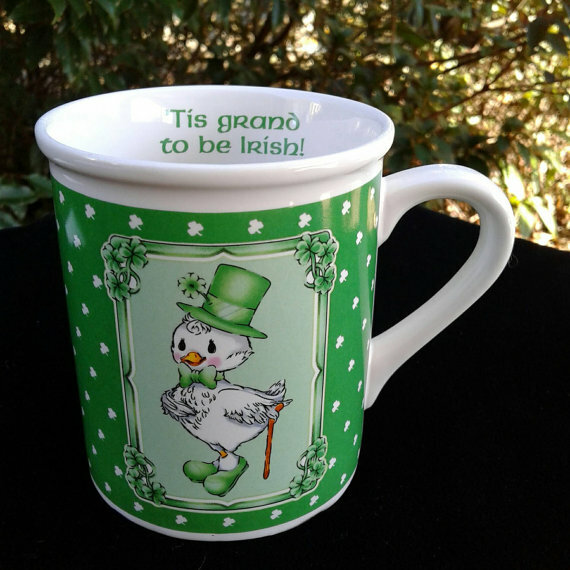 Are you planning a St. Patrick's Day party? 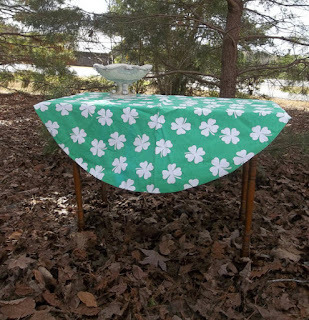 If so why not have a vintage tablecloth like this one from misshettie. Would look good on your table. 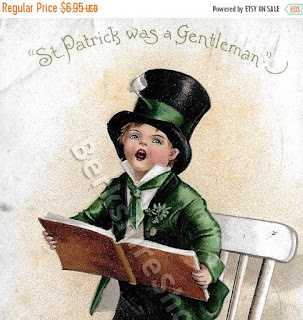 Oh my look at the pretty graphics and colors of this vintage postcard from BerkshireShopGirl! You can frame it and it would make a really nice picture on your shelf.